This entry was posted on January 27, 2011 at 9:19 am and is filed under Metrology, Science. You can follow any responses to this entry through the RSS 2.0 feed. Both comments and pings are currently closed. Allow me to try and allay your fears, good sir: First, in regards to there not being any standard of measure which can be “seen, touched or felt”: The situation as it is today is not very different from what you describe: Sure, there is a lump of Platinum-Iridium surrounded by two evacuated glass coverings inside a safe in Sèvres. Notice that, when you went to Wikipedia to look for images of the prototype, what you actually got was a computer-generated simulation of what the prototype looks like rather than a direct picture of the actual thing. That is because it is hardly ever touched, except to compare it to one of several copies stored with various metrology institutes around the world. It’s guarded this carefully because otherwise the piece could, over the decades, actually gain or lose mass because the outer surface oxides or is worn away by handling, and then what will we compare our standards to? If we compare all lengths to an iron ell or a King’s yard, and the aforementioned artefact expands thermally in the Summer and contracts in the Winter, what is the true length of the yard or the ell? 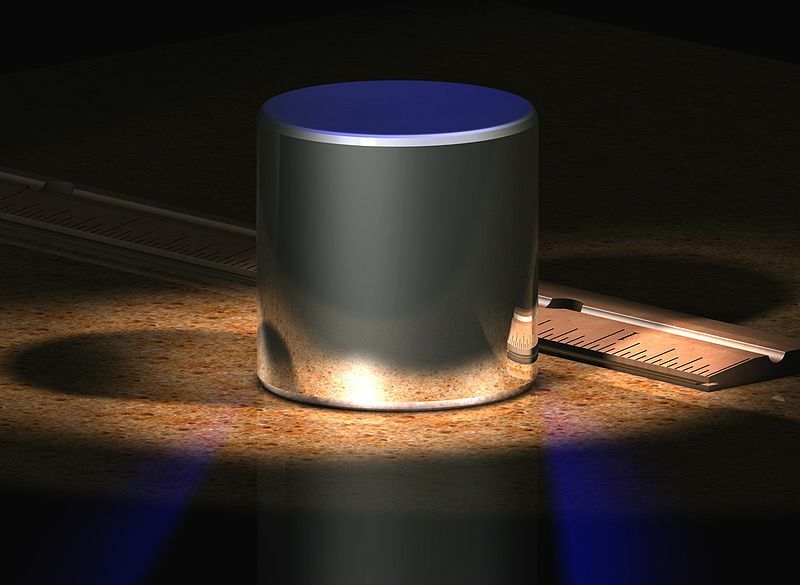 What we need is to compare against something which we know will not change size regardless of the temperature or the humidity or however many times we actually use it to calibrate our rulers, clocks and scales. And this is the beauty of using fundamental constants of nature. The speed of light in a vacuum doesn’t get slower or faster no matter how many lasers you use to measure the size of a metre. The time the hyperfine states of Caesium take to switch between each other doesn’t change if you count them out however many times you like. Obviously, you won’t measure the second directly by counting hyperfine transitions, unless you’re measuring the time with an actual Caesium clock. In fact, when we talk about defining such and such unit according to a fundamental constant, we’re actually talking about taking a current method of measuring out the associated quantity — a Caesium clock in the case of time, a laser pulse in the case of length, possibly a Watt balance in the case of mass — and giving it sanctioned status as *the* method of measuring that unit. These measuring methods are then implemented independently by the respective countries’ standards bodies and used to create the secondary standards — chronometres, metre sticks, bathroom scales — which we actually use to measure with, safe in the knowledge that if we think they are miscalibrated, we can always go and measure them against a truly authoritative source which will remain authoritative no matter how many seasons pass. Finally, regarding your fears that the fundamental constants of nature actually vary, cosmologists have probed the very edges of the observable Universe and the remotest past upon which there is any possibility of seeing anything at all, and as far as they have the resolution to measure, the fundamental constants had then the same values as they do now. 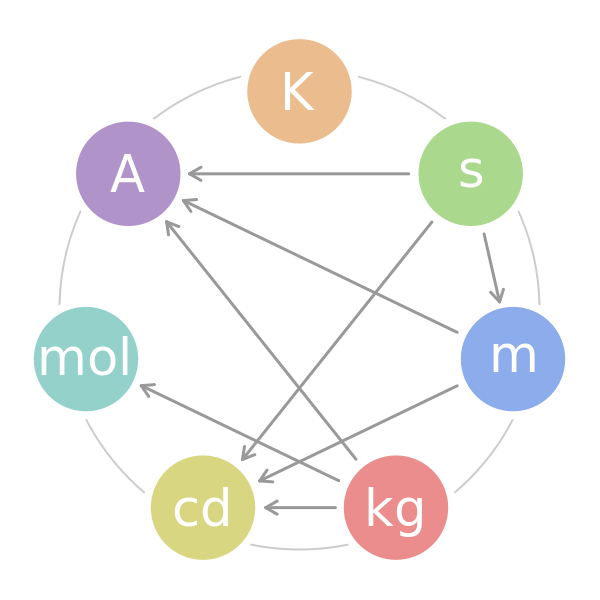 That is to say, if the fundamental constants of nature (c, G, hbar, epsilon-zero and k) do vary, they do so minutely that we might as well take them for constants, since we can’t actually measure their variation. That also means they will continue to vary beneath our ability to sense it, or physics as we know it would have already changed drastically in the past 13.5 billion years. So rest assured, even though we will not be able to “see, hear and touch” the associated standards, they will be even more accessible to the people than they have ever been when they were material artefacts stored by a given government. But I still have a sense of loss — just my age I suppose.